Join Lime Kiln Farm for a delightful stay at their farm! Located on the Hudson Valley makes it an ideal location for farming and cheesemaking. This vacation includes tasting their tasty cheeses with cheesemaking explanation to satisfy your curiosity. You can rest assured that all the cheeses are made only from their own milk, all pasteurized! During this vacation, you will be accommodated in double rooms with a shared bathroom at Lime Kiln Farm. Lime Kiln Farm currently makes chèvre, Hudson Brie, goat fetish, caciotta, and the Windham cheeses. Chèvre cheese is soft, creamy, a bit sour, and lightly salted. 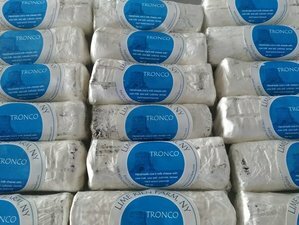 Hudson Brie cheese is a brie type, both in large and small size, with light white mold exterior, the interior softens with age. Meanwhile, goat fetish is a farmhouse cheese, similar to feta in taste and texture. It's a no-fail recipe. The cheese is slow-stirred, bit salty, bit sour, and always tasty. The cheese is ready in three days and it is one of Lime Kiln Farm's best sellers. Moreover, the caciotta is a hard table cheese. Depending on the technique, the curd is cooked for long-term aging, washed for softer type cheeses (Gouda), washed for pasty cheese, covered in ash or wrapped in leaves. It can be sold in two weeks or two years. Lastly, The Windham cheese comes in form of pyramids, logs or rounds. This French-style cheese has bloomy rinds, it is also creamy under the crust and can be somewhat chalky-centered. Alessandro and Brent currently have approximately 60 goats and 14 cows on the milk line. The goats are Oberhasli and Toggenburg. The cows are Milking Shorthorns. All milk is processed at the farm, making Lime Kiln Farm a farmstead operation. Alessandro and Brent start milking the day the goat gives birth and continue on until the start of November. This usually results in an 8.5-month lactation. The farm (more than 400-acre) is truly a goat paradise with thick vegetation, open fields, and overrun pastures. The goats are free to roam at will, deciding for themselves what they will eat. Although much healthier for the goat, it does add an extra challenge for the cheesemaker. Milk from free-roaming goats is always a bit unpredictable, even more so when the animals are out roaming 100's of acres of woods every day. What they eat affects the milk and cheese. Cheesemaking would be easier if the animals were kept in the barn eating hay every day. On the other hand, goat-keeping would be easier if the animals would roam every day. Goats in a commercial herd live an average of four years, going through three lactations. Lime Kiln Farm's oldest goat in Tuscany was ten and she was still the highest producer in the barn. It is clear that the goats will continue to roam freely! Milk naturally goes through cycles. As soon as the babies are born, the milk, although not overly abundant in quantity, is very high-quality, and very high-fat and protein contents for the growing kids. This to a cheesemaker is the cash crop. The milk is almost no-fail. Every cheese is rich and smooth, you wish the milk keeps this level of quality all through the year. But, as the goats move onto pasture and sweet fast-growing grass and leaves, the milk swells to higher quantity but the fat and protein ratios dip. Cheese yield is actually higher, but it is not so easy to make Lime Kiln Farm's springtime favorites like spreadable chèvre or really gooey brie. There is a proverb in Italian that says the month of May is the time for stacking up on cheese and firewood and that's what is done at Lime Kiln Farm. The milk, although not as fat, is abundant and healthy as the goats are on pasture, and that happiness / healthiness is transferred to the cheese. This vacation will take place at Lime Kiln Farm, USA. The farm is located in the Hudson Valley. The Hudson Valley, in particular, was identified as the ideal location for farming and cheesemaking, not only because of its climate and topography but also because of its proximity to large cities (Albany, New York City, Boston, Philadelphia) where the farm to table movement is now well established. You can book a taxi / Uber from Hudson station in New York. Lime Kiln Farm is a 1790 vernacular Dutch farmhouse that offers group tours including cheese tasting events and cheese making classes.